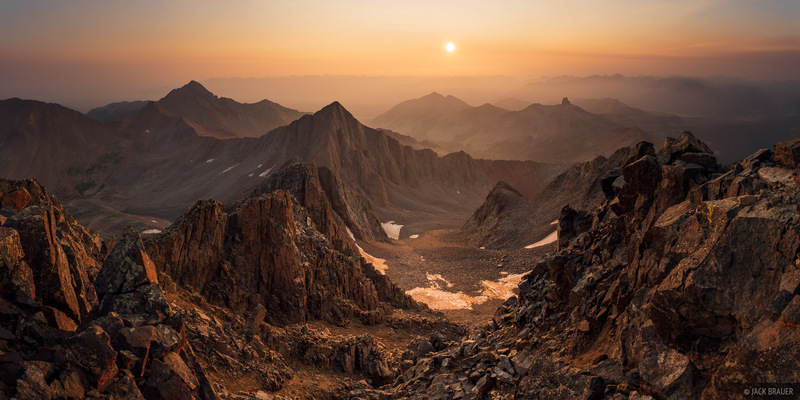 A smoky sunrise as seen from the summit of Mount Wilson (14,246 ft). Wilson Peak is on the left, Gladstone Peak near the center, and the Sneffels Range barely visible through the smoke in the distance. The smoke blew in overnight from an 800-acre wildfire west of Montrose. Photo © copyright by Jack Brauer.